The worlds easiest and best Hot & Spicy Meatballs Recipe you will ever have. Seriously…the best meatballs! 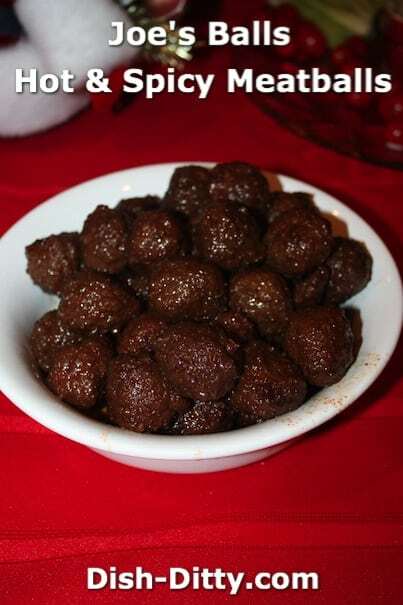 My friend Joe has been making these meatballs for our parties for more years than we would like to admit. This picture really shows his personality. With a beer in one hand and his balls in the other (hee-hee), the party is now officially a party. There are some recipes that define your personality. You will find that you are asked over and over to bring your signature dish to all your parties. Mine is my Sesame Noodles. 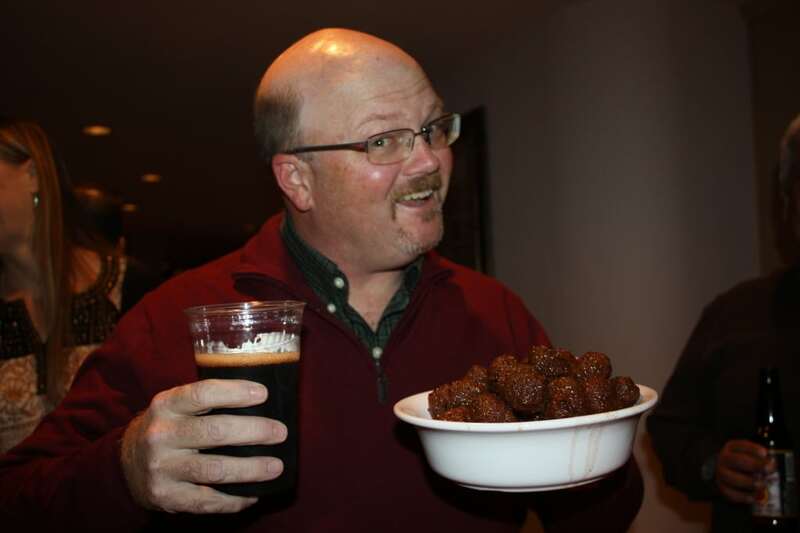 For Joe, his signature dish is definitely this recipe… Joe’s Balls, a hot, spicy & sweet meatball appetizer. It doesn’t matter that these balls are tasty, which they are. It’s really just so much fun when Joe arrives at a party and everyone screams “Joe’s Balls are here!”. The laughter insures and for at least a half hour we have nothing but comments about how “Everyone loves Joe’s Balls in their mouth”. Laughter and puns aside, these are the simplest and best spicy meatballs you can make. 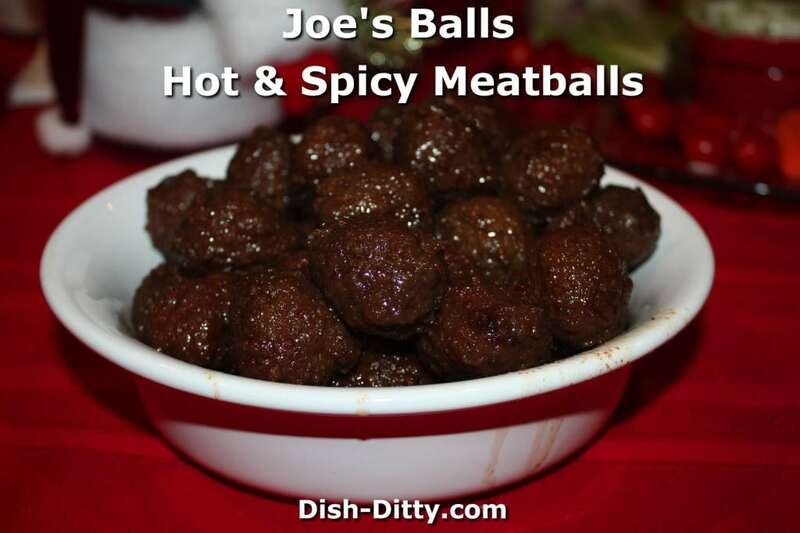 My friend Joe brings these Hot & Spicy Meatballs to all of our group gatherings. If he arrives without these meatballs, he is sent packing! So simple, yet amazing. Place all ingredients in a crockpot. Heat on low for about 3-4 hours. Serve hot. Want measurements? It's generally a bag of meatballs, a jar of grape jelly, and 1/2 to one jar of Tapatio. Any proportion works great, it's all a taste preference. Just add more jelly for less hot or more Tapatio if you want it spicier. You can also do these on the stove or even in the oven. 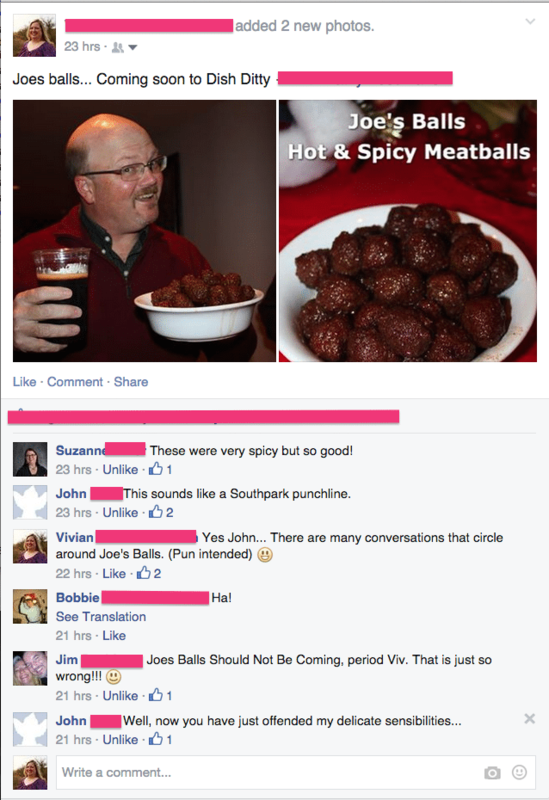 No Replies to "Joe's Balls - Hot & Spicy Meatballs Recipe"